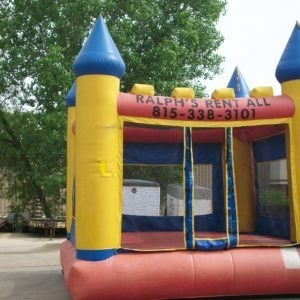 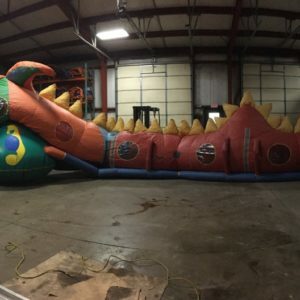 Our full length Inflatable Bungee Run is 33ft long. 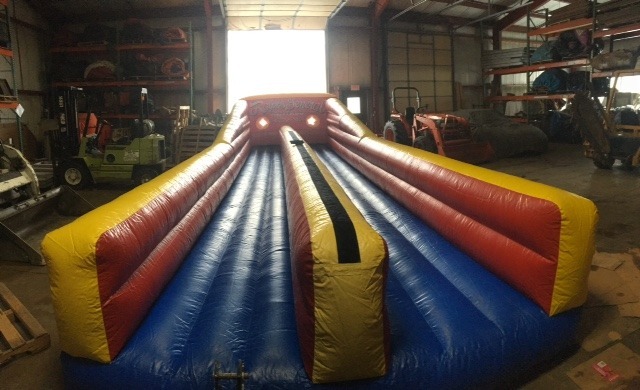 The Bungee Run is an adrenaline fueled activity that is fun for both adults and children. Two people can use the Bungee Run at one time, each trying to place their bean bag/baton as far down the gauntlet as possible before the Bungee cord attached to the belt you are wearing pulls you back to the start. 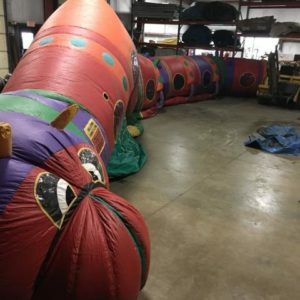 Once the cord has begun to pull you back brace yourself for the fun and quick journey back to the start! 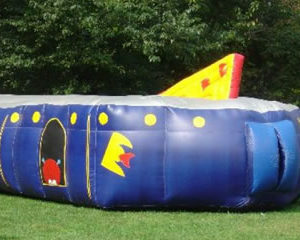 This inflatable weighs approximately 200 lbs and will fit in most mid size SUV’s or larger.